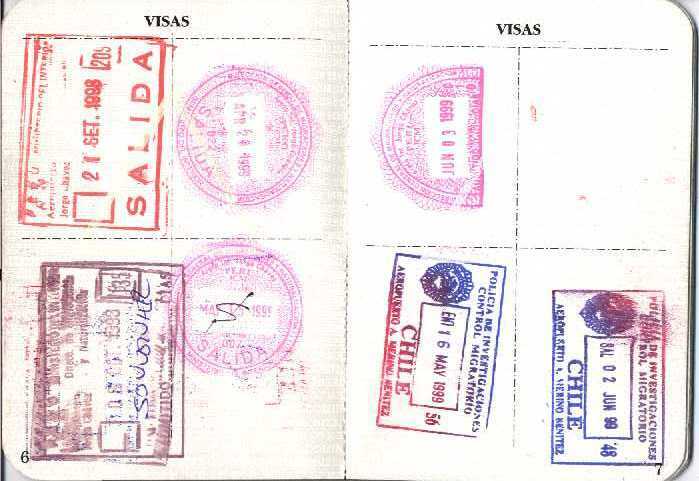 No visa is necessary when you travel to Chile, only a valid passport. When entering Chile (By cruise, vehicle or plane), at customs, you’ll need to fill out a Tourist Card that allows visitors to stay for up to 90 days and will allow multiple entries. You’ll need to show this Tourist Card to Customs when leaving the country as well, so be sure you don’t lose it. For more information on other type of Visa, go to this CONSULAR SECTION for more information. There is a reciprocity fee of US$160 dollars to be paid in cash (U.S. dollars) or credit card. The one-time charge is good for the life of your passport. Go to this CONSULAR SECTION for more information. Paulina,hellow again,how are you?…My daughter was born in Las vegas,never register in the Chilean consulate,she is over 21 years old,and she want to visit Chile for the first time.Now with all this recent changes.Does she need both passaports instead of visas? If your daughter has never registered with the “Registro Civil” in Chile, then she does not exist as a Chilean, consequently, she can only travel with the passport she has: I assume the USA citizenship. If she has a Chilean passport, then she is registered as a Chilean and will need both passports to be up to date and valid to exit Chile. No she was never register with the Registro Civil in Chile or any Chilean consulate , so we understand , she just need to get un American passport , no visa and fill out aTourist card in Customes . If she deires to stay over 90 days , can she apply for a visitor extension some where , while she is still in Chile , without Exiting or Entering the country ? What about extending her stay over 90 days while she is in Chile without leaving the country ? I am not familiar with the process of extending a visa. She will need to deal with the Ministerio del Exterior while in Santiago. What does my daughter needs to get a “temporary dependent visa” ? Since I do not handle visas at my office I do not have the answer to your question. I looked in the governments page (http://www.minrel.gob.cl/inmigracion/minrel/2008-07-16/140738.html), but did not find the answer to your particular question. Gracias Paulina por darme su valorado tiempo libre para ayudarme , especialmente sin recibir “HONORES ” .